It's 2018, and frankly, being able to communicate explicitly in emoji is a skill tantamount to knowing how to read. 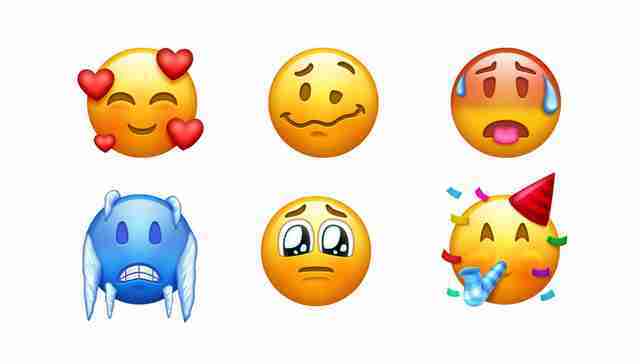 Fortunately, it's about to get a whole lot easier to express yourself without words, because the emoji overlords just dropped the latest batch, featuring 157 new characters slated to hit smartphone keyboards in the very near future. 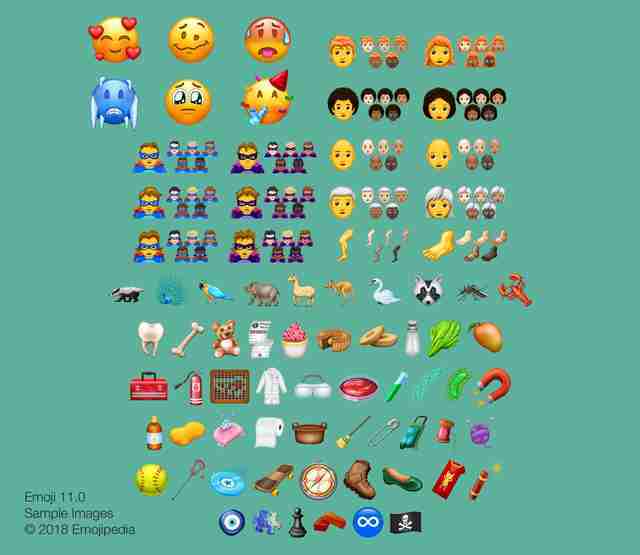 The Unicode Consortium, the body responsible for drafting and approving official new emoji just finalized the lineup for Emoji 11.0, and it boasts several long-awaited entries like options for red hair or baldness, foods like bagels and cupcakes, a handful of popular activities. It also includes some unique new facial expressions like "woozy," pleading face, and cold face. With these, the total emoji "vocabulary" now includes 2,823 different characters, which is certainly a lot, but it's still only roughly 1/60th the number of currently used words in the Oxford English Dictionary. Nevertheless, it's going to be helpful, especially if you have curly or white hair, talk about hippos or kangaroos a lot, or really love lacrosse (they're all represented in the new batch). The folks at Emojipedia have put together the full list if you want to check 'em all out. Since they've only just been approved, it's going to take a bit of time for the teams at Apple and elsewhere to update their offerings, but you should have access to all the newness at some point later this year when you update to whatever forthcoming version of iOS they're included in.